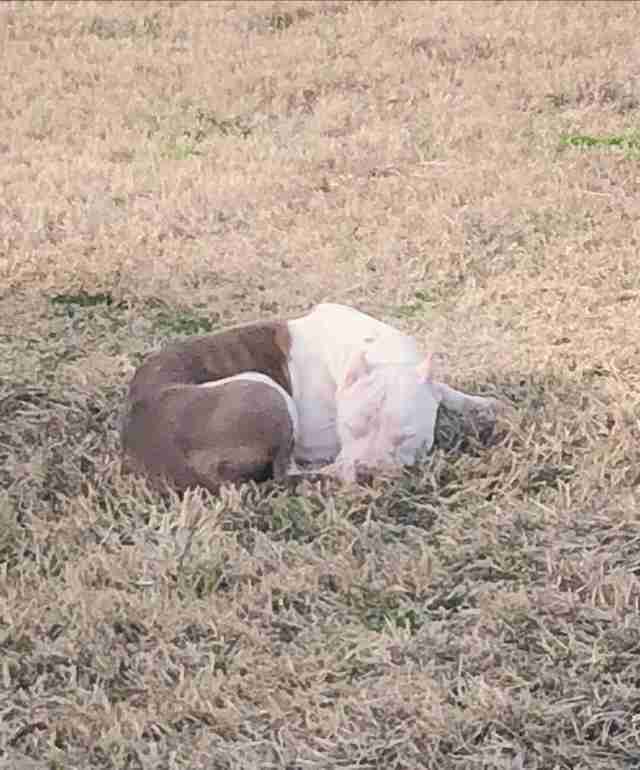 A man working at a real estate business in Houston, Texas, found a pit bull lying next to his office building and posted a call for help on Facebook. Someone had abandoned the dog — Timothy Hampson was sure of it. 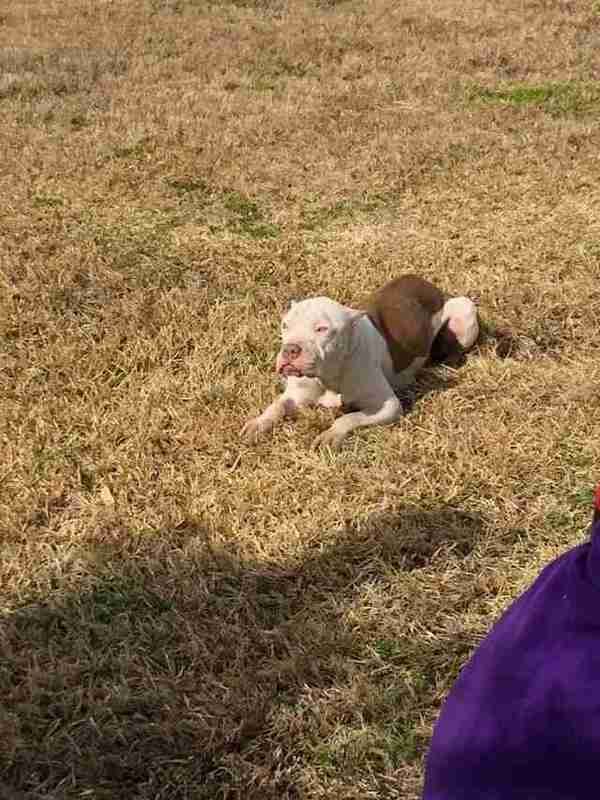 The 2-year-old pit bull was lying in the field next to his office building in Houston, Texas, and there was no way she got there by herself. 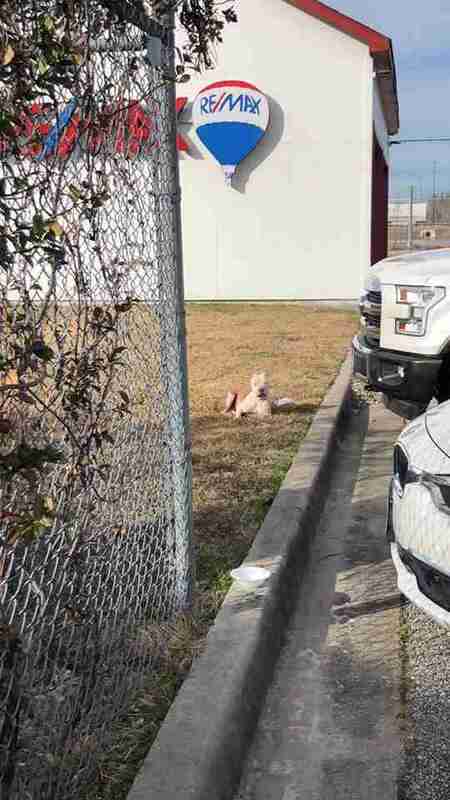 But Hampson didn’t have experience in rescuing dogs, so he wasn’t sure what to do next, and neither he — nor any of his coworkers — could take Penelope home. So he continued to put out food and water for her, and checked on her regularly. 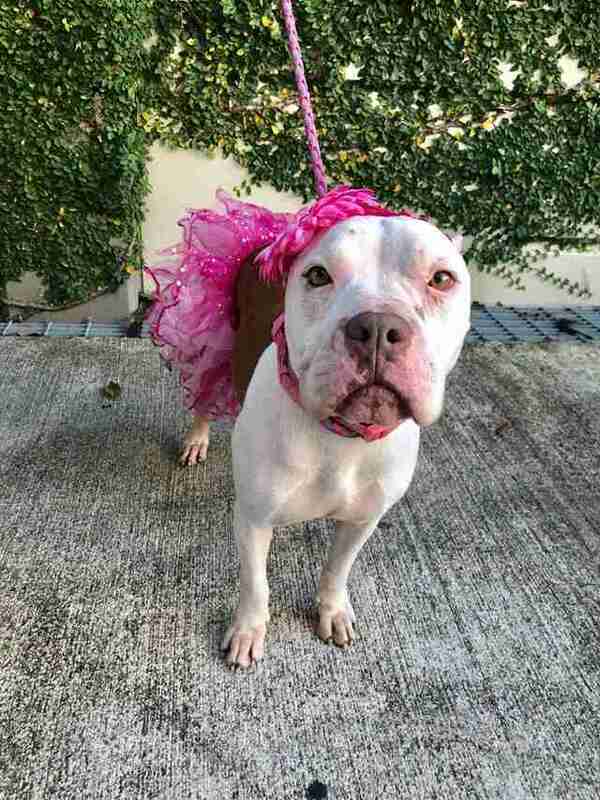 So Hampson took to Facebook — he wrote a post, asking if someone would rescue Penelope, and it found its way to Laura Forma, a woman who’s been rescuing dogs for the last three years. 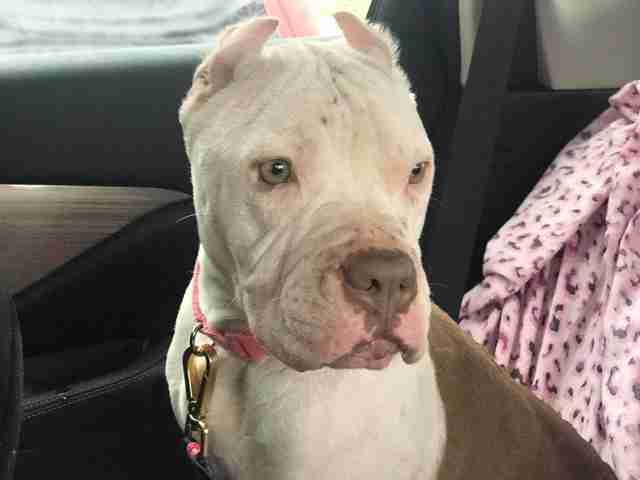 Forma offered to foster Penelope, and she asked the team at Brave Bully Rescue if they’d take official responsibility for Penelope's rescue and adoption process. Forma couldn’t get Penelope herself because of work commitments, so she sent her friend Alyssa Aguilar to pick Penelope up. Later, when Aguilar and Forma took Penelope to an animal hospital for a checkup, the vet pointed out that Penelope was actually in heat, which meant that she hadn’t had a litter for several months. But she’d definitely had puppies in the past — and probably several litters. Penelope had cropped ears and scars on her head, and it looked like she hadn’t had a good meal in a long time. 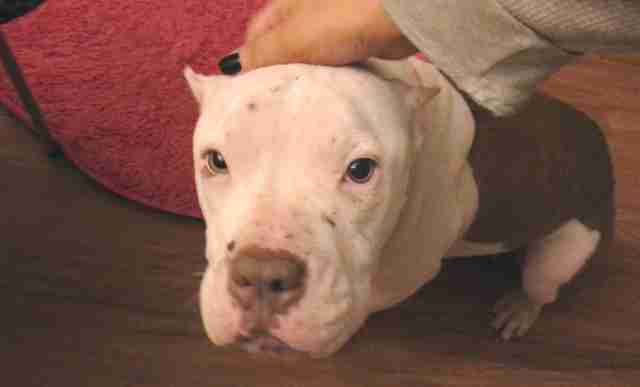 Aguilar kept Penelope at her house for a couple of days before Forma took her into foster care. Penelope may have been grateful to be in a home, but it still took her some time to adjust to domestic life. 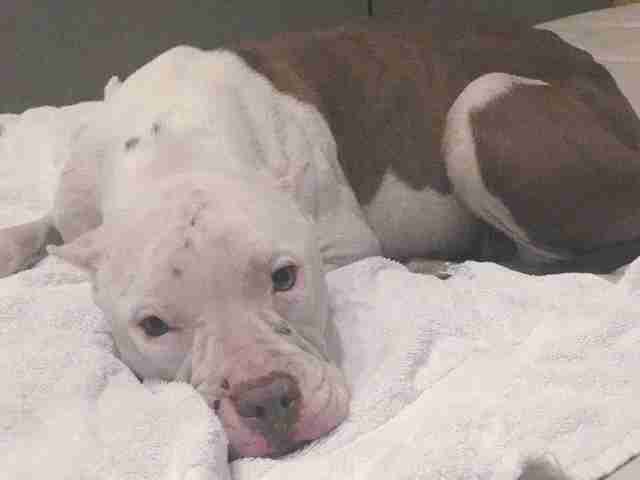 Penelope will remain in foster care with Forma while she recovers, but she’ll eventually be up for adoption. 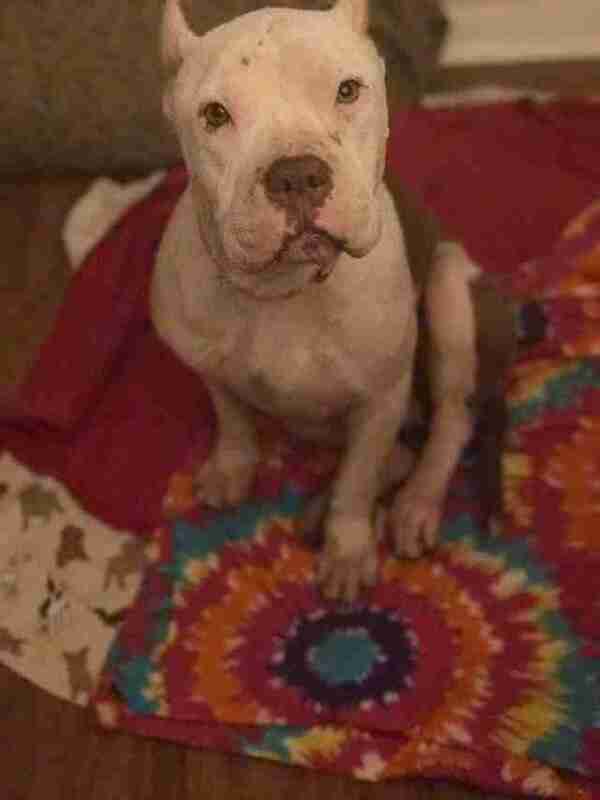 If you’re interested in adopting Penelope, get in touch with Brave Bully Rescue. You can also help Penelope find the perfect home by making a donation.